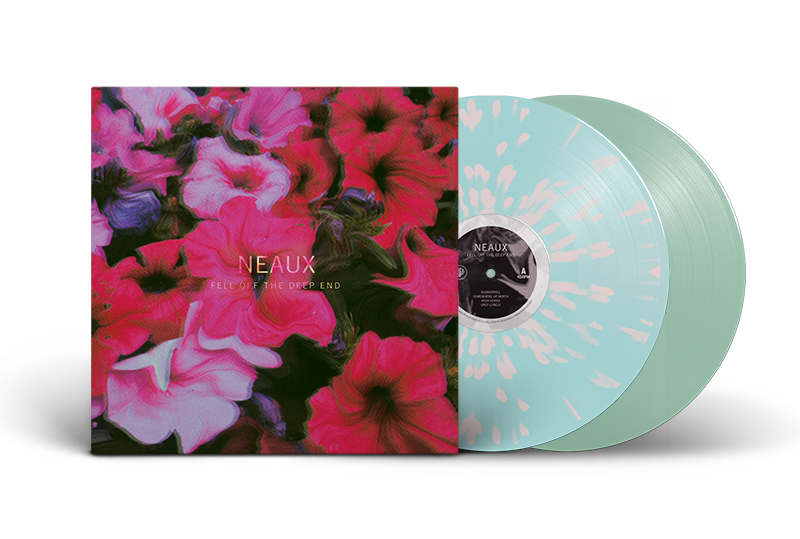 Fell Off The Deep End is the debut full-length from Neaux. Rich in atmosphere and songcraft, Fell Off The Deep End gives a nod to shoegaze, Sonic Youth, and Bl'ast in equal measure. The members - Sierra Kay (Versa Emerge), Nick Fit (Loss Leader, Trash Talk), Ryan Briggs (Have Heart), and Chris X - may have cut their teeth in varied projects, but Fell Off The Deep End's rewarding collision of worlds yields a captivating new sound. There's a weighty crunch to the sound that recalls 90's grunge and alt-rock, yet clear and expressive lead vocals and aggressive lyrical vulnerability ensures fans of Slowdive and PJ Harvey can find space in this music. It's the sound of restless emotional territory, of punk looking inward. Originally released on cassette in late 2016, Fell Off The Deep End has been remastered in 2017 with new artwork and is up for pre-order now on vinyl, cassette, and digital at ironpier.net, along with exclusive merch. 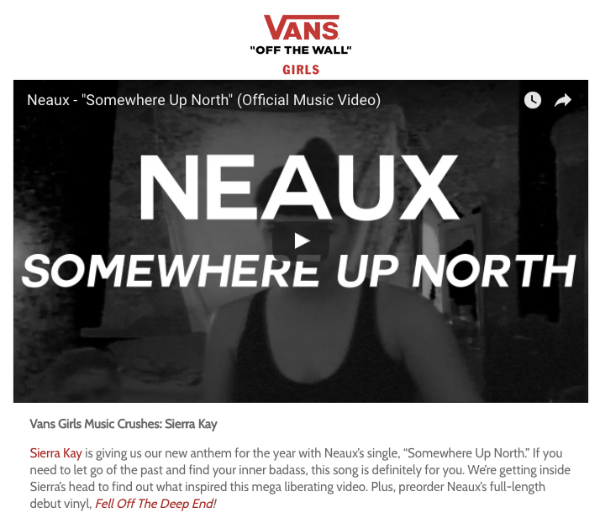 Vans Girls blog is now premiering a new music video for "Somewhere Up North" as well as a Q&A with Neaux singer Sierra Kay. The video can also be viewed on Youtube. Neaux will celebrate the proper release of Fell Off The Deep End with a record release show on Saturday February 18th at Trans-Pecos in Ridgewood Queens, NY. More details to follow.